Set in an Edwardian country house at the turn of the 20th Century, Downton Abbey portrays the lives of the Crawley family and the servants who work for them. Full of splendour and passion, romance and heartbreak, scandal and rumour, Downton Abbey is the most successful British drama ever created, and now, with the help of this exquisite papercrafting collection you can create beautiful craft projects in the style of your favourite characters. 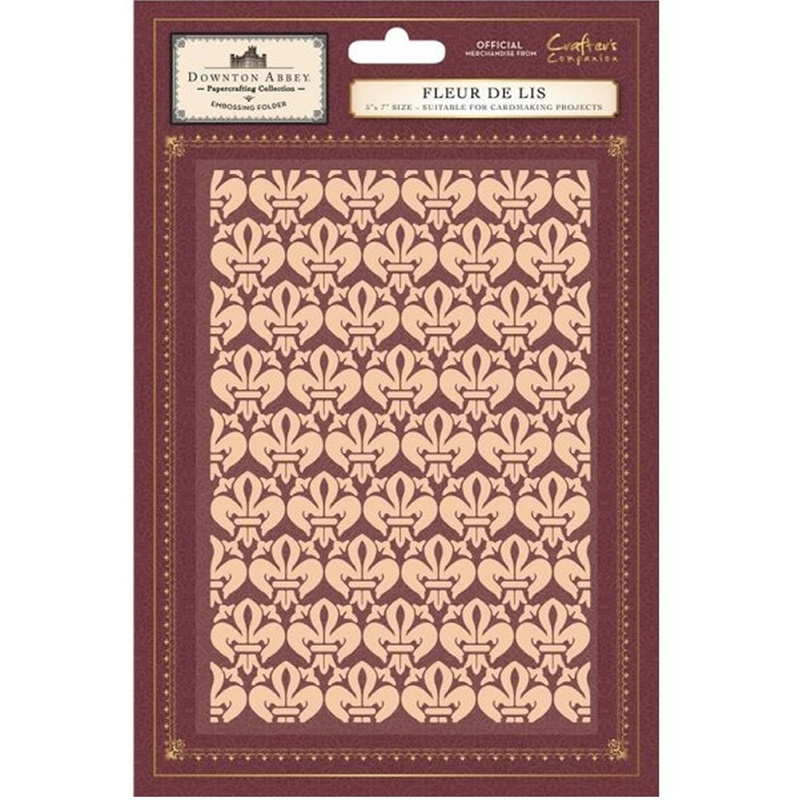 This beautiful Fleur de Lis folder is ideal for adding depth and texture to you crafting projects. This embossing folder is 5"x7"